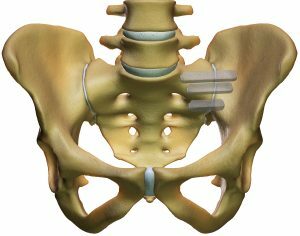 The sacroiliac joint (SIJ) is an anatomic structure that is increasingly being recognized as a potential cause of chronic low back and buttock pain. iFuse Implant System is an FDA-cleared triangular titanium implant with a porous titanium surface. The triangular shape allows for an interference fit with the surrounding bone that provides immediate stabilization and minimizes mi-cromotion and rotation of the instrumented SIJ.